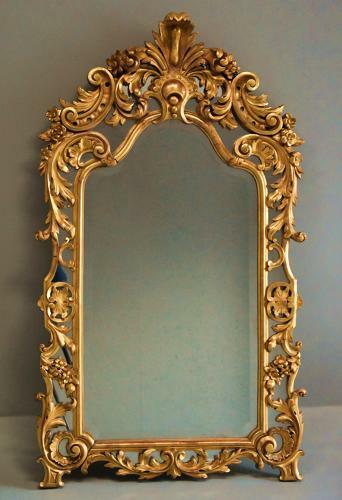 This mirror consists of an arched shape top with carved scrolling crest to the centre leading down to the giltwood frame being superbly carved with scrolling floral and acanthus and foliate designs. The giltwood frame covers the outer mirror plate with the inner arched plate being original and of bevelled glass with the original back to the reverse. This mirror is in excellent, original condition for age, is of stable construction and can go straight into a home.